All travel destinations in Sri Lanka boast of a wide range of stay options ranging from five star deluxe to 4 star to 3 star to budget hotels. Be it the capital city Colombo or the beautiful coastal town Bentota, you can get hotels and resorts of your choice and budget in all the travel destinations of Sri Lanka. Sri Lanka is a deeply religious country. It has number of religious places that attract tourists. 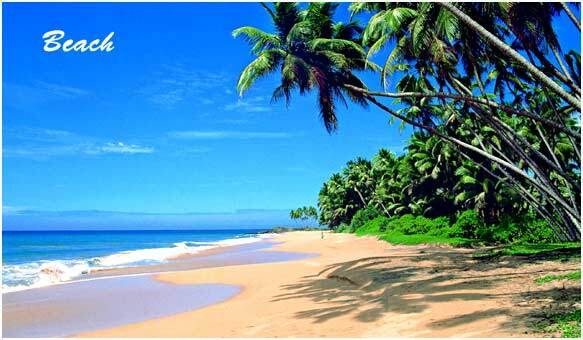 Sri Lanka is a tourist's paradise. Marco Polo described it as "the finest island of its size in the world". Wonderful pristine beaches, lush-green hills, majestic waterfalls, corals, wild life, heritage sites, pilgrimage sites, exotic cuisine-Sri Lanka has everything that a tourist can imagine. It has something to offer to everyone. Though Colombo is widely known as the capital of Sri Lanka but strictly speaking Sri Jayewardenepura Kotte-a miniature town in Colombo-is the legislative capital of Sri Lanka. Colombo is the commercial capital of Sri Lanka. The total population of Sri Lanka is around 20 Million. Major ethnic groups include: Sinhalese (74%), Tamil (18%), Moor (7%), Burgher, Malay and Vedda (1%). Buddhism is the major religion followed by around 70% of the population. Other major religions are Hinduism (15%), Christianity (8%) and Islam (7%). Sri Lanka is a deeply religious country. It has number of religious places that attract tourists from all over the world.